To celebrate the release of Brooklyn on DVD next Monday we’ve got a copy of the original bestselling novel by Colm Toibin to giveaway! Based on the award-winning novel by Colm Tôibín and transformed into a BAFTA and Academy Award® nominated screenplay by Nick Hornby, BROOKLYN stars 2016 BAFTA and Academy Award® nominee. 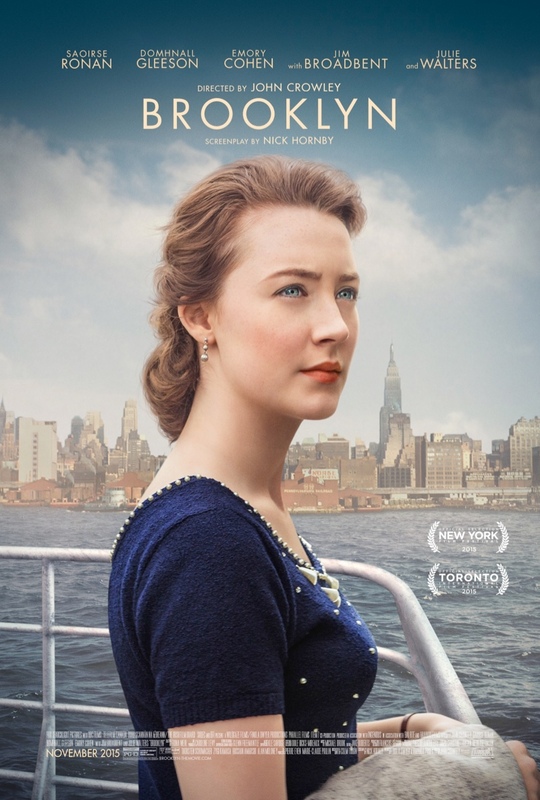 Nominated for six BAFTA Awards and three Academy Awards® Saoirse Ronan (Hanna, Atonement) as Eilis, a young woman who moves from small town Ireland to Brooklyn, where she has the opportunity for work, for a future – and love, in the form of Italian-American, Tony (Emory Cohen; The Gambler, The Place Beyond The Pines). When a family tragedy forces her to return to Ireland, she finds herself drawn back into the life she left behind. As a secret threatens to reveal itself, Eilis has to confront a terrible dilemma – a heart-breaking choice between two men and two countries. The competition ends at 23:59 on 10 March 2016. The prize consists of the book Brooklyn by Colm Toibin.